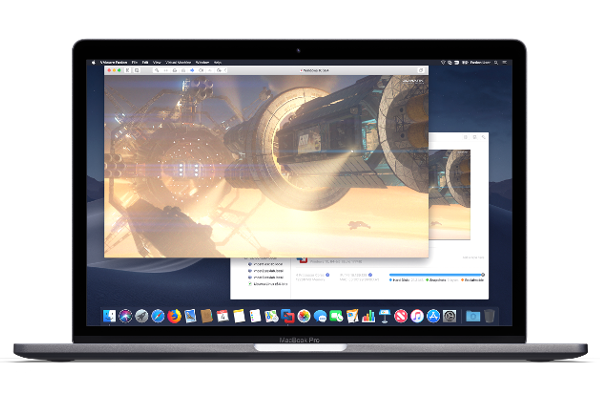 VMware Fusion 11 and Fusion 11 Pro launched with support for macOS Mojave and DirectX 10.1. VMware today announce that its latest major upgrade to Fusion: VMware Fusion 11 and Fusion 11 Pro, is available now. Upgrades feature new user interface improvements, expanded OS and hardware support, and an improved remote VMware vSphere view. VMware Fusion 11 delivers a new Application Menu to help users quickly access VM inventory; change view modes, settings and snapshots; or launch Windows applications with a single click. The Application Menu can run with or without Fusion, allowing users to launch and control VMs in an instant. VMware Fusion solutions include expanded hardware and OS support, including support for the new 18-core iMac Pro and macOS 10.14 Mojave, among others. The new version also includes several user interface improvements including a customizable touch bar for MacBook users, updated icons, and DirectX 10.1 graphics support. Finally, VMware Fusion 11 Pro also includes the improved remote vSphere view to provide users with a more complete description of the host topology, including visibility into the remote environment's host, cluster and datacenter organization structure. Last year with Fusion 10 Pro, VMware released a REST API to enable developers to integrate VMware Fusion Pro with modern development tools like Docker, Vagrant, Kubernetes and others. This year, VMware is improving the Fusion Pro API to include additional developer features. For example, developers can leverage new networking-oriented controls to programmatically assign and change virtual networks, organize MAC to IP Address binding and specify NAT port forwarding rules on the fly. Fusion 11 and Fusion 11 Pro both default to the new Enhanced Metal Graphics Rendering Engine on supported hosts, and has been updated to deliver DirectX 10.1 compatibility. Now supporting Anti-Aliasing as well as Geometry and Compute shaders, games and apps which require DirectX 10.1, or which fallback to 10.1 from DirectX 11, will now run in a Windows 7, 8 or 10 virtual machine. Fusion 11 delivers an all new Application Menu for quickly accessing VM inventory, changing view modes, settings, snapshots, or launching Windows applications from a single click. The Application Menu can run with or without Fusion, allowing users to launch and control VMs at an instant. New Finder integration at the top of the VM Window allows users to quickly navigate to anywhere in the running VM's folder tree, supporting drag and drop file location printing (Drag the VM name to Terminal or any text-input field, it prints the vm's file path). Includes added support for customizing the Touch Bar for equipped Macs using new contextual functions for the VM Library and the VM Window. In addition to supporting ESXi 6.7 and the deployment of vCenter Server Appliance 6.7, VMware Fusion 11 Pro can now view into Hosts and Cluster detail when connected to remote (or local nested!) vSphere environments. View your resources by VM, Host or Cluster to get a better look at your sphere inventory right from Fusion. Fusion 11 now uses VMware Virtual Hardware Platform version 16 which contains many improvements around areas of security, performance, and stability, as well as adding support for the latest Macs, including the 18-core iMac Pro and MacBook Pro with 6-core Intel i9 CPU. VMware Fusion 11 Pro and VMware Fusion 11 are available today for $159.99 and $79.99, respectively. Upgrade licenses for VMware Fusion 11 Pro and VMware Fusion 11 are available for $119.99 and $49.99, respectively. Upgrade eligibility: Owners of Fusion 10 and Fusion 8 or 8.5 are eligible for upgrade pricing. Users who purchased Fusion 10 from August 21st onward will have their keys automatically upgraded in your My VMware account. Hi there! I am G.R. ONly UPdates, news. Android, iOS and Windows. MყΛρρѕΣdεη™ - 📱💻 B̶ʀ̶ᴇ̶ᴀ̶ᴋɪɴɢ TECH ɴᴇᴡs © 2012-16. All Rights Reserved.